Synchro tilt mechanism allows the backrest angle to adjust automatically in a 2:1 ratio with the seat. Low Back. 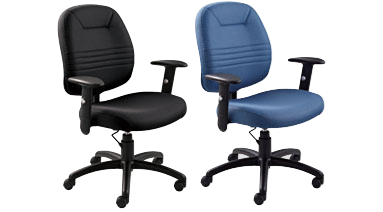 Features multiple position tilt lock control, height adjustable seat and height adjustable arms. Fusion Fabric. Ready to assemble. Carbon.